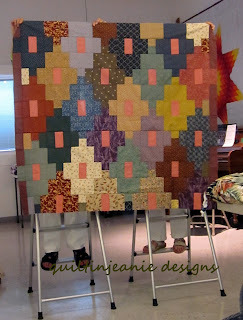 Jean's Quilting Page: A little challenge....met! 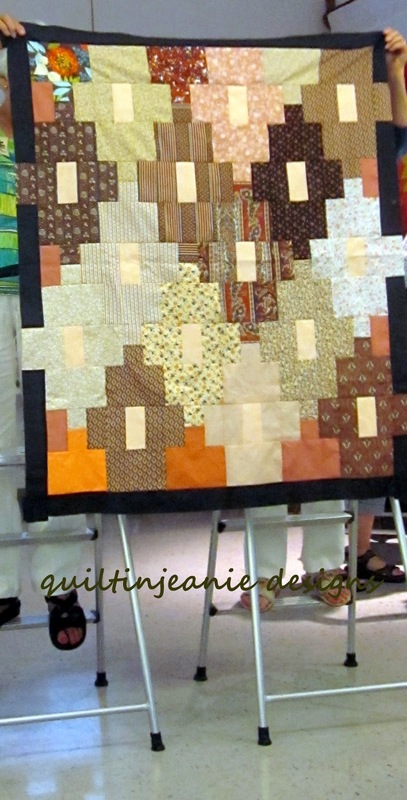 Last month I did a trunk show for the Piecemaker's Quilt Guild in Missouri Valley, IA. 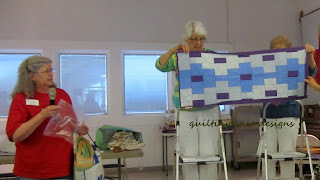 I had a great time and taught a class on making the Miss Tess quilt the following Saturday. 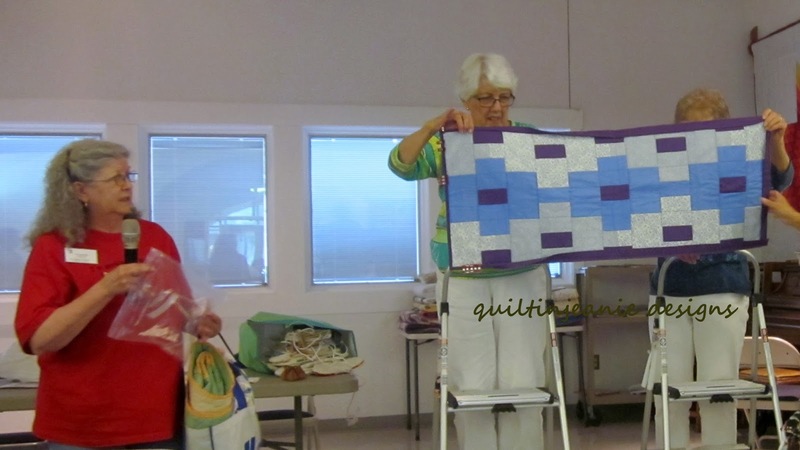 It was fun to see their quilts start to come together during class and I promised (or did I issue a challenge....) I would come back this month to see how many finished the tops. Amazingly, 8 of the 10 brought their quilts back in various stages of completion. One made many blocks and made two quilts! 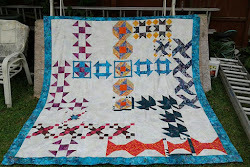 The other two quilters were there; one had forgotten hers and the other was still sewing rows together. 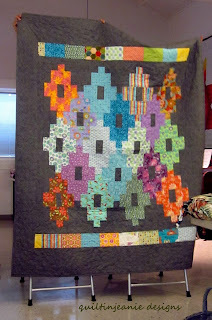 She was making the larger version and said it was still on her living room floor. It was fun to see them again and chat about quilting. 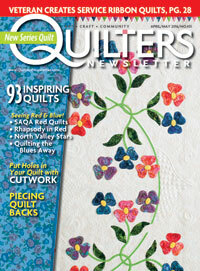 They really are an awesome group of quilters. 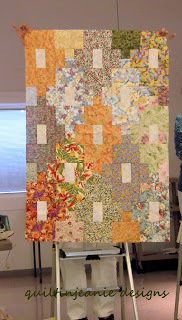 I've had Sampler Clubs the past few nights and sewed with friends yesterday, so need to do some things around here today. 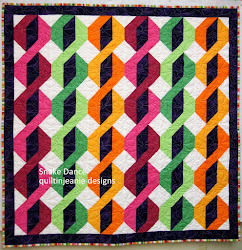 The quilting group that I go on retreat with twice a year is getting together tonight to plan our meals...we leave next Thursday! I'm so excited, even though this is my 3rd retreat of the summer. I have been working on class models for the most part and feel like I'm making some headway. I have to do this every year! 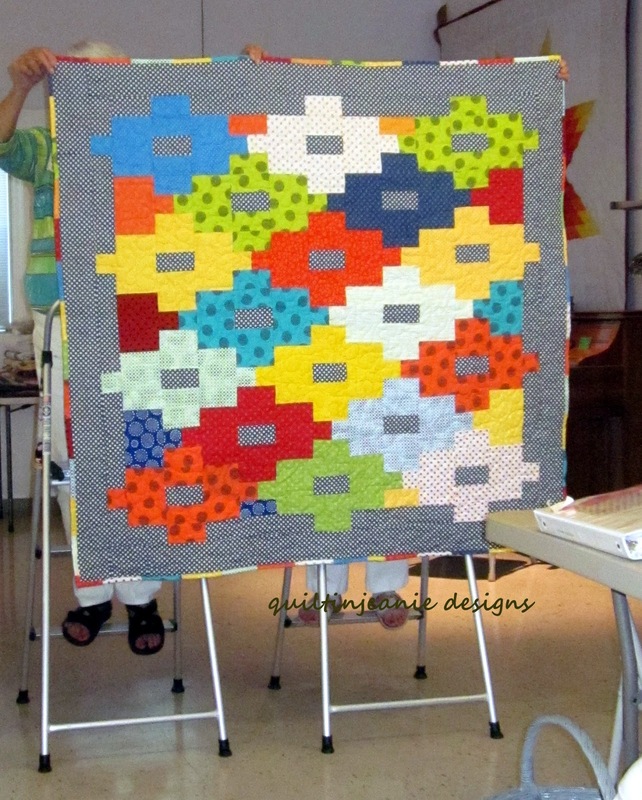 Our first retreat was back in August of 2010. None of us had been on a retreat before, so it was our first retreat and we had to figure many things out. 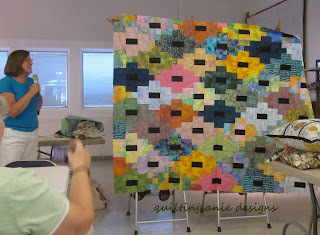 We went to the Farmer's Dotter Quilt Retreat in Bedford, IA. It was a cute place, and set up like a bed and breakfast, so we did no cooking. We had so much fun we decided to do it again! That first retreat began on Friday afternoon and we stayed until Sunday. We didn't think that was long enough, so now we go on Thursday and stay until Sunday. 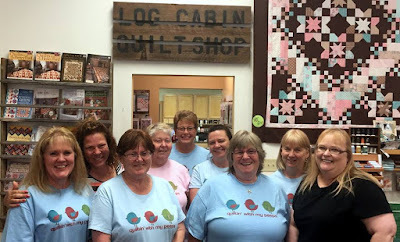 We have stayed at several locations over the past 6 years, but have stayed at Stitchin' Tree Quilter's Cottage ever since it opened in 2013. It's a nice set up with a full kitchen, so we fix our own meals and best of all there is a small shop next door so we can shop when we run out of important things...like fabric and thread! this will be our 13th retreat, the 8th one there. I need to start planning what I will work on! Have fun on your Retreat! 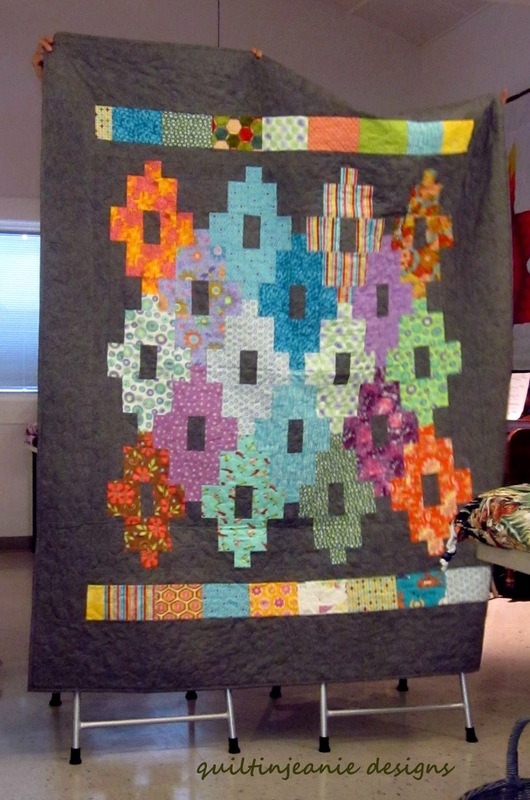 Love seeing all the Miss Tess quilts. 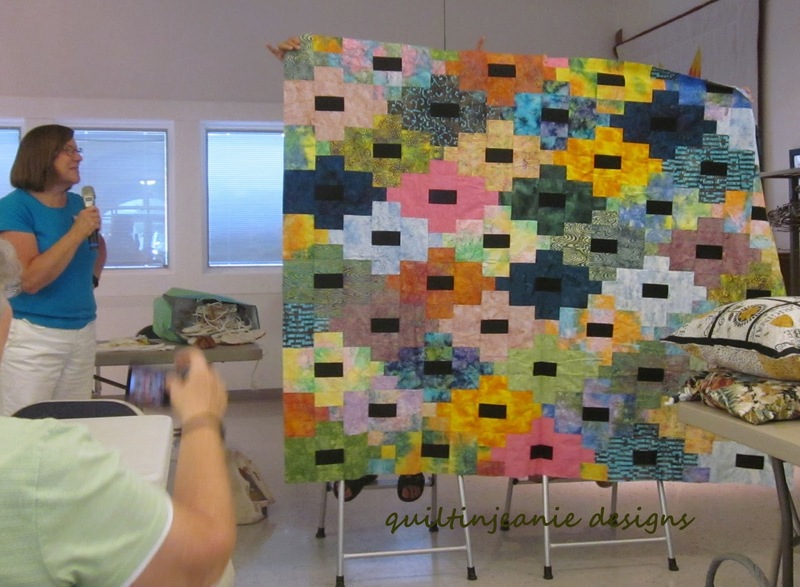 Three retreats this summer! You've got me beat! 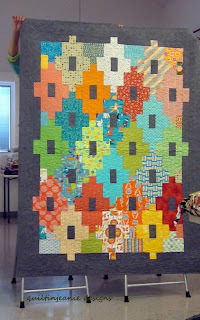 I love the variety of fabric interpretations for the Miss Tess quilts. It was fun helping Karen arrange her blocks. 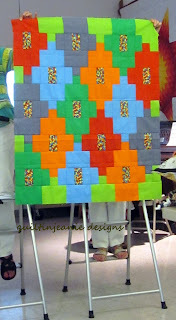 It's one of those quilts which requires planning and several sets of eyes! Have fun on your retreat. Nice that so many ladies had worked hard on your quilt. Finishing essentials and boxy pouches...again?